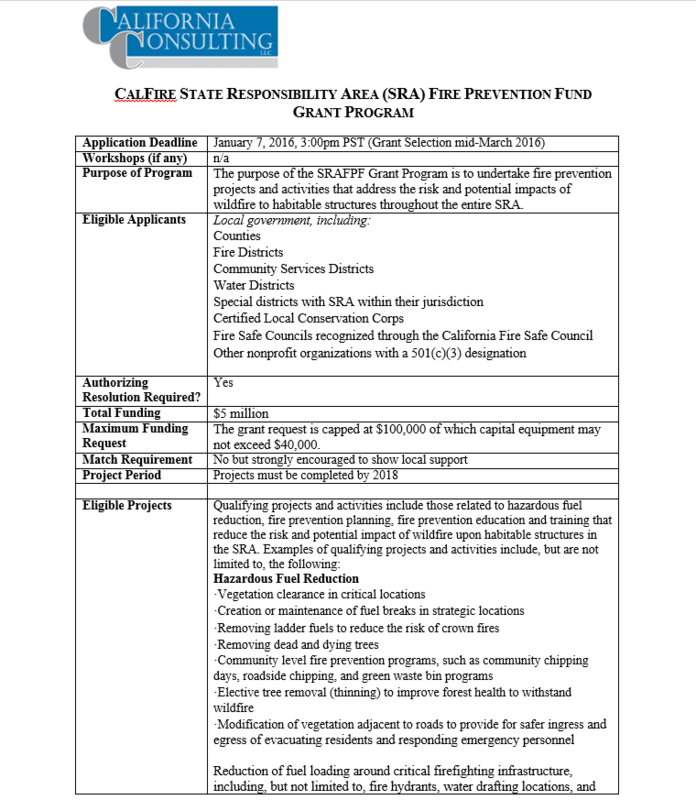 California Consulting Announces the Release of the CALFire Grant Program , Summary Attached - California Consulting, INC.
California Consulting announces the release of the CALFire State Responsibility Area Fire Prevention Fund Grant Program. Please find a summary of the program below. 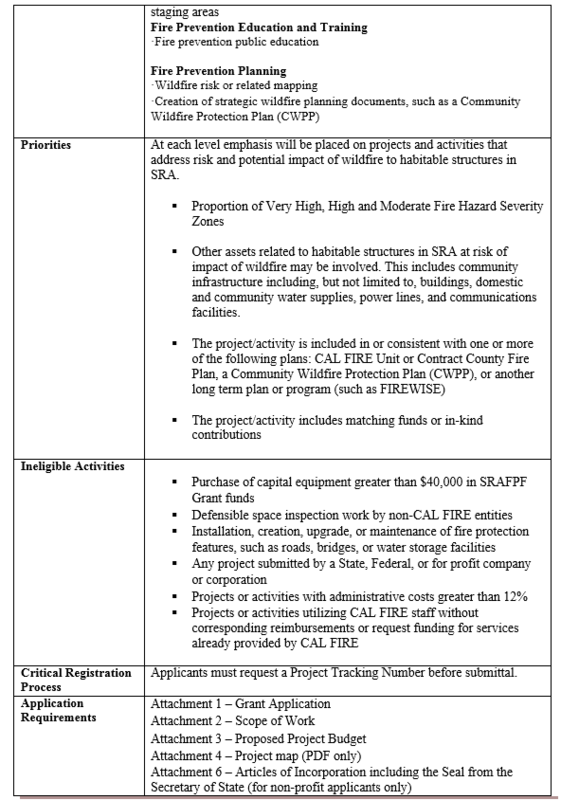 California Consulting is the state’s largest grant writing company. Since 2004, California Consulting has successfully written over 670 applications. Through a combined effort, California Consulting has secured over $1.5 billion dollars for its clients through federal, state, and private funding opportunities.